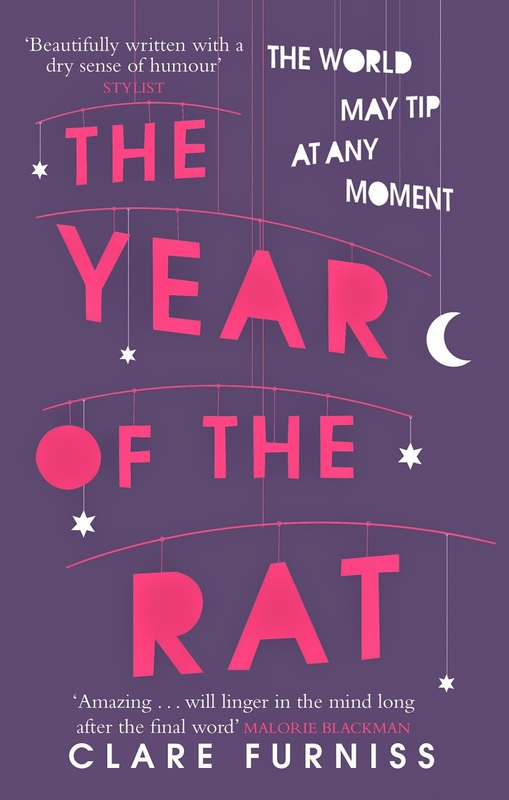 Check out my review for Year of The Rat by Clare Furniss. Look out for my Twitter Retweet to win a copy on Twitter. I always thought you'd know, somehow, if something terrible was going to happen. I thought you'd sense it, like when the air goes damp and heavy before a storm and you know you'd better hide yourself away somewhere safe until it all blows over. With thanks to Simon and Schuster Australia, I'm giving away two copies of this brilliant new contemporary by first time author Clare Furniss. Described as Poignant and thought provoking, it tells the emotional story of teen Pearl and how she copes with a new sibling while dealing with the death of her mother. To enter, simply follow the prompts below. To join the growing Twitter discussion, use the hashtag #ThatRatBook and join thousands of readers that have already discovered the brilliance that is Year of The Rat. Clare Furniss talks about her YA novel The Year of the Rat with students from Abbotsleigh School in Sydney, Australia. Read the first chapter of Year of The Rat by clicking HERE. Unfortunately i'm not in Australia so i can't enter your giveaway but i'm definetly adding this book to my goodreads! It's utterly brilliant Lily, can't wait to see what you think of it. It really is Emily, I think you'll really enjoy this one. Best of luck with the giveaway. Awesome giveaway, girl! But of course I'm not an Aussie. :( Excuse me while I go sulk, lol. Oh no, no sulking Aims. Maybe I can offer an eBook giveaway for this one in a few weeks to give lovely no Aussies like yourself a chance to read the awesomeness that is #ThatRatBook. I want to read this soooo bad (just saying I should definitely win is all). x) I love how whimsy that cover is, too! It's beautiful, at first I didn't see that it was arranged as a baby's mobile. So clever. It's just an incredible book. Good luck little Notebooker. Aww, thank you Zoe. We can make you an honorary Aussie. THIS BOOK OMG *stares at stack of tissues* Aussies, you NEED to enter this wonderful competition that Kelly is hosting. Because this book is a must read. It will change your outlook on the idea of loss. I couldn't have said it better myself Joy. It's simply beautiful. Did you tear up too? Not many books make me cry, but the ending was just so touching. I adored it.